If you are involved in social media in any way you are sure to have noticed the use of the hashtags, but do you really understand what it means or the power it has in getting you in front of the right audience? What was once only known as the pound sign is now a gold mine for marketing. A hashtag is a linkable word or phrase that has the hash sign proceeding it. You may have noticed #REINMLS and #YourMLS on our own social media posts. Social media platforms like Facebook and Instagram use these hashtags to categorize content making it even more accessible and searchable. When you click on the linked hashtag you will see all posts associated with that word or phrase. Hashtag your service areas: Do you service specific cities or even specific neighborhoods? Use these hashtags in your content. This will allow anyone searching for new homes, advice, or information in your service area to see you. This positions you as an area expert. Hashtag local area attractions: Along with your service area, tap into some local attractions and events. Tapping into what the Waterside District or Vibe Creative District has going on and some of the hashtags they are using again positions you as a community expert and gets you in the conversation. The next time you’re out enjoying the sites in the city, hashtag it! Hashtag your own brokerage: Hashtags can be used as another branding tool. Does your company have a slogan you always use? Hashtag it! Just like we use #REINMLS, #YourMLS anytime you see that you know that it’s a post we stand behind. It also helps your audience to see additional content you may have posted in the past and creates a discoverable archive of all of your content. 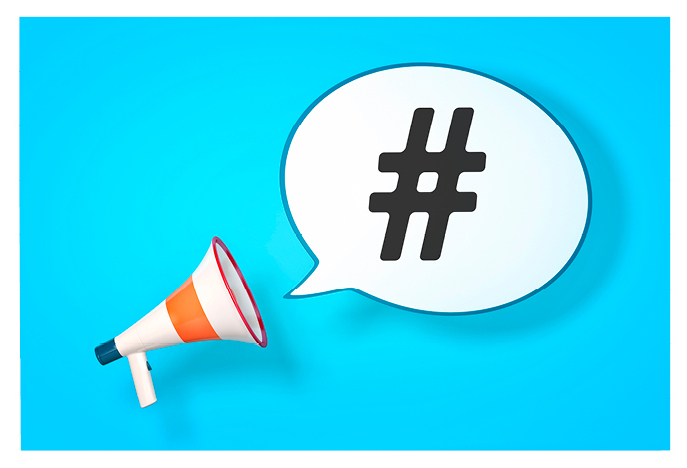 Use trending hashtags: Trendy hashtags are great at extending your reach beyond your niche. Be careful to not go overboard in using trendy hashtags to the point of it not making sense with your business or deviating from the overall message of your business. If not used correctly they can also be seen as too spammy. If used correctly, they can bring personality and a more human touch to your brand. Getting involved in the #throwbackthursday, #flashbackfriday, etc. is fun and allows your audience to see you in a different way. Use it in a contest or promotion: You can use hashtags to create buzz around a specific promotion. This is great for brand engagement. For example, you could have clients take a photo of themselves in front of one of your company yard signs using your contest hashtag for a chance to be entered into a raffle for a prize. Doing this gets your name in front of the followers of all those participating, people you would never be in front of without the use of the hashtag in this way. Keep in mind that when using hashtags, you cannot use any spaces. The words must be typed altogether in order to work as a clickable link. Also, numbers are allowed but punctuation is not. The number of hashtags you should use on each platform varies. For Facebook and Twitter, we recommend using 2-3. Studies show that you risk decreasing engagement on these platforms if you go overboard and use too many. You can get away with a lot more on Instagram, where you can do as many as 10 and not damage your engagement. With Facebook and Twitter be deliberate and stick with the hashtags that are going to match your message and get you to the specific audience you intend to reach. With Instagram have fun, but don’t get too crazy. Nobody likes to read a post with 20 hashtags hanging at the end of it. Happy hashtagging!